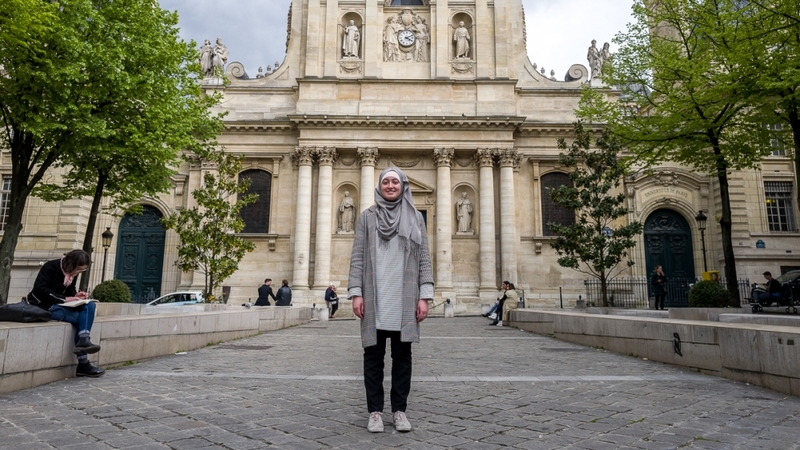 Paris, France – Last year, the 19-year-old elected leader of the Paris-based Sorbonne branch of the French National Students’ Union (UNEF) found herself at the centre of a frenetic controversy. Gerard Collomb, France’s interior minister, called Pougetoux’s appearance “shocking” and likened her hijab to a symbol of the Islamic State of Iraq and the Levant (ISIL or ISIS) armed group. The country’s gender-equality minister, Marlene Schiappa, said she viewed Pougetoux’s hijab as a “form of promoting political Islam”. UNEF publicly condemned the comments as a “wave of racist, sexist, and Islamophobic hatred”. 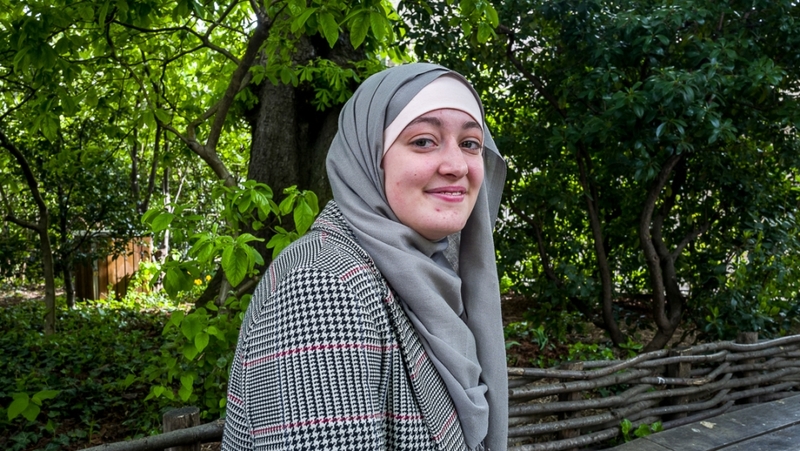 One year after the firestorm, Maryam Pougetoux sat down with Al Jazeera and talked about how the backlash changed her life, the support she received and France’s fixation with the hijab. Maryam Pougetoux: I’m still one of the co-presidents of the student union. In the professional area, nothing has really changed. We’re still working on students’ rights within the university. I’m graduating in a few months. Whenever I’m at university, I’m just a normal 20-year-old student: I attend classes, have essays to write, meet up with my friends. The only thing that’s completely different relates to my personal life, I guess. I’ve met incredible people, people I thought I’d never meet, like the author, activist and filmmaker Rokhaya Diallo. I was also invited to speak at the French embassy in Toronto to talk about my story and this whole controversy. It’s pretty bizarre seeing your name on headlines, being quoted by famous authors … It’s still a lot to handle. One thing that is still strange to me is that people recognise me and come up to me in the streets. It still feels weird, and I haven’t adjusted to that yet. Al Jazeera: In previous interviews, when you were asked your opinion on political Islam, you said you didn’t know much about it. How has that changed now? Pougetoux: The term was thrown at me several times. Why would anyone ask me my opinion about that? I still don’t get it! At the end, I decided to check on the internet what that meant because I had no idea. The answer was surprising. I still can’t understand why they’d associate me with any of this. My position within the UNEF has never had any links with my religion or anything. In fact, we don’t discuss that within the union. My identity was used to serve the political agenda of these ministers and commentators. They used me as a political puppet, when, again, that’s not who I am. They thought that my position has something to do with my veil, or that I was hiding a political Islamic agenda … If only they knew that that was so far from the truth. They simply couldn’t understand that I wanted to represent my fellow students. But no, to them it had to be something else, some ulterior plan something. This is completely insane. It was hard because by saying this, they took away all my ability to manage a union like UNEF. To them, I wasn’t elected because of my ability to handle this position. It had to do with my hijab. It’s frustrating, because they take away from you everything that makes you a human. I separate my faith from any of my unionist actions. These are two different worlds. No one within the UNEF has ever mentioned my veil to me, or found it problematic. There are black people, Arab people, Asian people, poor and wealthy students within UNEF. I don’t get why other people could reach this position with no backlash, but I received negative reaction because of the fabric I wear on my head? It makes no sense. Pougetoux: A few days after the controversy, the dean expressed to me his support. It was a private conversation, and no press release from the university was written or anything. Of course if he went public with it, it would have been a great gesture, but I didn’t really need that back then. All I cared about was the support shown by my family and the UNEF, the latter who published press releases. Back then, the president of National UNEF was Lila le Bas and she was interviewed by several media outlets regarding students’ issues. Eventually, some questions about my controversy came up, and she always showed maximum support, saying that they’ll continue fighting for me. Pougetoux: The real problem is, as minorities, we are not represented in the media. It’s not even a question of religions. Minorities in general are misrepresented. The traditional media outlets are pretty reactionary on some many topics. Old generations are still present in newsrooms, and analyse situations through their own prism, due to the lack of minorities present. This is a huge problem. They cover stories through one angle: the 50-year-old Caucasian man. If the newsroom were full of minorities, maybe this all stigmatisation wouldn’t happen. There would be more discussion about it. The stigmatisation of so many communities is a direct consequence of lack of diversity in the newsroom. Al Jazeera: What do you think of France’s war against the visibility of Islam in the country? Do you think these laws go against laïcité (secularism) or do they cement that? Pougetoux: It’s neither way I think. I feel like both are the extreme and this is scary that it’s only seen as a binary choice. I understand France’s position on secularism. However, we’re the country of [ Liberté, Égalité, Fraternité ], and it’s a freedom to wear wherever you want. This applies to everything, not only to the veil. France always adopts a reactionary process. They react to a situation. When the 2011 full-face veil (niqab) ban was passed, France was reacting to a certain context. Yet, there will always be Muslim women in France, walking in the streets, veiled or not. A few weeks ago, another controversy hit France about a sport hijab being sold by Decathlon, which resulted in Decathlon removing it from its stores. But I will continue to practise a sport no matter what the government and the French society say. It’s insane how every time we go back to the same controversy. Wearing a hijab is legal, I’m not doing something illegal here. There’s an everlasting barrier here, on what women should wear or not. It’s exhausting. Pougetoux: Before the controversy, when I was getting interviewed by the media, they’d only ask me about the student issues. The veil wasn’t a problem to them. No one asked me a question about my hijab when I did interviews with huge networks such as BFMTV or France 3. Then after the 10 seconds interview on M6 channel (which kick-started the controversy), the journalists’ approach totally changed. After the controversy, journalists offered me to react to this. But quickly, they’d ask me to comment on other Islam-related controversies. They quickly put me in the box. To them, I became the Muslim women’s spokesperson. It was frustrating.